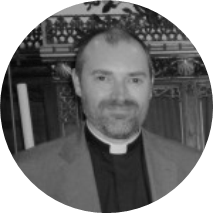 Home » A letter from Reverend Andy – September. There is a joke in which a driver decides to take a short cut along back streets to avoid a traffic jam on the main road one day. Where he is headed doesn’t really matter, but let’s say for arguments sake he wanted to head to our own fair village of Burnopfield. At first, he drives with confidence, turning this way and that as the signs dictate. But suddenly having turned a corner and driven for a while, the road signs seem to desert him and he finds that he has no idea where he is and which way to go. And yes, he realises that he is thoroughly lost. But just as he gets desperate he sees a local stood by the side of the road and, hoping for salvation, pulls up alongside him. “Excuse me” he asks politely, “I seem to have got lost. Could you tell me how to get to Burnopfield?” “Burnopfield?” says the other chap and begins to rub his chin – “that’s a tricky one”. But after a couple of minutes thinking he says, “well to be honest mate, the only thing I know for sure, is if you want to get to Burnopfield, I certainly wouldn’t start from here!”. I don’t know about you, but sometimes it seems to me that life can be very much like that joke. We head off or are led off down a route that seems to make sense to us – we make our way to a place or toward a goal set by ourselves or by others that seems to be the right one at that point in time. But then we find ourselves lost, unable to make sense of what has happened, or what is going on in our lives; unable to understand perhaps how we have even got to this place. But more than this, just like the punchline itself, getting to the place where we do now want to be seems impossible. Where we want to be headed next is somewhere that just doesn’t seem to be a possibility given our present place and state, or even those things that have perhaps gone before. We find ourselves thinking, not just I wouldn’t want to start here, but I absolutely don’t want to be here, nor know how I got here, when it comes to what is happening in our lives. And worst of all, this often stops us even contemplating how to get from the lost state we find ourselves in. But whilst that might seem bleak, luckily for those of us who follow Jesus, we can know that seeking and searching out the lost is what the Son of God is all about. In the great game of life, one that as I suggest can see us getting lost and often without any idea of how we can get back on track to a place where life can have meaning and bring us joy again, we have someone who is a hide and seek champion to turn to – well someone who at the least is a seeker of unequalled skill. “Today salvation has come to this house … for the Son of Man came to seek out and to save the lost” Christ says of Zacchaeus having looked up and found him in a tree – but more significantly in a terrible state of unhappiness and immorality in his life. And in the parable of the Lost Sheep Jesus also reveals the joy of God in finding and bringing back into the fold the sheep that has gotten itself lost. And this is wonderful news for those who are struggling, because it shows that there are no lost causes, nor indeed places to get yourself lost that are beyond Jesus. You can indeed start exactly where you are, no matter where that is and life in all its fulness can indeed be the thing and the place that you find, thanks to the love of Jesus who died and rose again for us. But maybe you might be asking me how. Well September to me, often feels like a time of new beginnings – the time when that hoped for peace of the summer holidays has come to an end and the tools that we have downed are picked up again as we head back to work or school. Perhaps for some of you it may be a time to get back into the game of life with Jesus then, a time for a new beginning with Christ where you let Him find you through prayer or reading the Bible. What prayer doesn’t matter, just say a few words to Jesus like you would to any friend or any person you would decide to ask for directions. But what part of the Bible? Well I would say why not try Mark’s Gospel, the shortest of the four, that in 16 chapters describes how God got the world back on track through the actions of his Son. You may not think you are in a place that is the right one to begin to find life and joy again yourself, but Jesus, the great seeker of those who are lost most certainly does. And whilst He doesn’t need your help to find you, there surely isn’t any harm in giving Him a helping hand; a helping hand to find you and get you back on the track again perhaps. And yes, in this case, even if it doesn’t seem to be right at all, I would start here, wherever that may be for you at this time.